I was running out of my Josie Maran sunscreen, but it wasn’t available at Sephora so I end up buying this one. I was little skeptical of buying it because I had never heard of Consonant before. I end up choosing it because it consists of natural ingredients. It’s rather expensive(CDN $45 +tax for 50ml) as compared to other sunscreens. It is of a thick consistency with a little tint to it. You really need to give it a few minutes to let it soak into your skin. It does have a tacky finish, but not greasy by any means. It wears very well under makeup. Does not make you look oily at all. The tint, however is too light on my skintone. As long as I’m using makeup on top of it, I’m good, but I can’t wear it on no makeup days because of the tint. I hope Consonant comes out with a non tint version of it. If you are of a lighter complexion, the tint would work in your favour by evening out your skintone. Verdict – It’s an expensive sunscreen (CDN $45 +tax , 50ml), if you don’t mind the price and the tint, it’s actually a very good sunscreen. It’s not easy to find a sunscreen which is all natural and works well. It doesn’t give any white cast, doesn’t make you look oily and provides the protection you need (SPF 30). I have never had any tarte eye shadows before. This was my first tarte eye shadow palette. Apparently, this is a new formula from tarte. Since, I’ve never tried any other eye shadows from tarte, I can’t really give any comparison with the old formula. Though the colour range of the palette is not out of this world, I’m so glad I bought it because the eyeshadows are gorgeous and the formulation is AHMAZING. These eyeshadows are buttery and super pigmented. You can mix and match these colours to create a variety of eye looks, from a simple day look to a rocking night out look. The texture is very creamy and easy to blend. The compact is very well made. Design outside the palette is stunning. Even though the colors are easily dupable(especially for someone with a huge eye shadow collection), this is worth buying for the formula alone. Verdict - If you are looking for a corrector to help cover up your problem areas like hyperpigmentation, dark circles, dark spots, redness etc. stay away from these correctors. There are better options available in the market. First of all, the price is pretty impressive on this foundation as compared to other high end makeup. The foundation gives the perfect amount of coverage and lasts for a very long time(I wore it at 6am and it looked the same at 3pm). It did not break me out. It has a nice giant concealer type applicator but I like applying it with my fingers. This foundation is great for dry skin but I wouldn’t recommend it for oily skin. It was easy to blend and did not feel heavy at all. However, I couldn’t find my perfect shade even though they have a pretty impressive range of colours. I bought it in Golden neutral which is 2 shades darker than my skin tone. On top of that, it oxidizes on me which is NOT good. 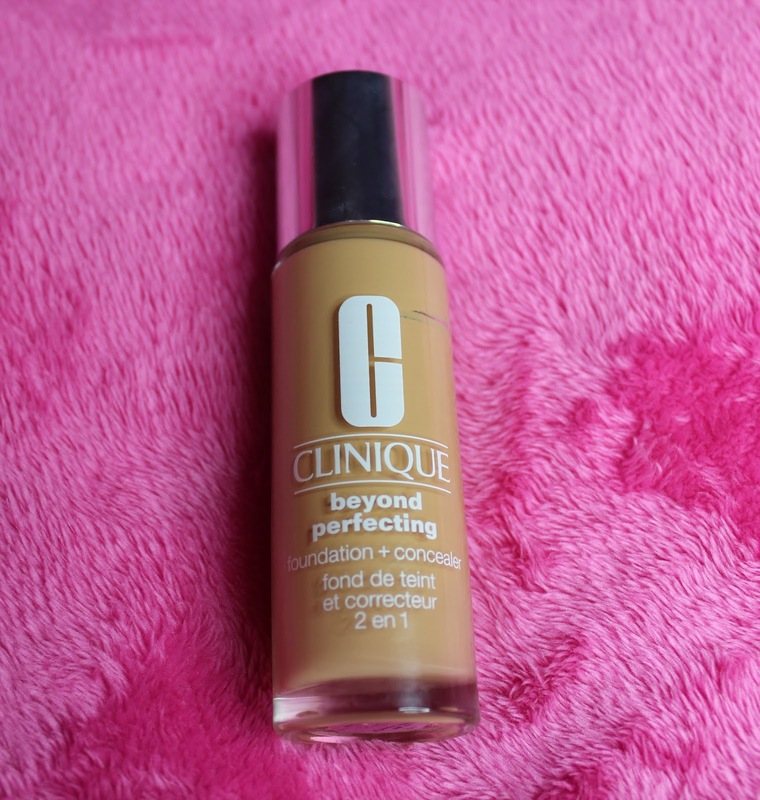 I loved the foundation overall and could work with the oxidizing issue as well(by using one shade lighter) but I just can’t find the right shade for me. If you have dry skin and like using full coverage foundation without looking cakey, go ahead buy this foundation. Description - A limited-edition illuminating face powder palette for strobing and highlighting the complexion. Lift and brighten up your features with the Spring/Summer 2016 Runway Palette. Define your complexion by sweeping the pearly, translucent powder across areas of the face, where light would naturally hit. I’m a highlighter junkie so I had to have this gorgeous looking highlighter from Burberry. I usually lean towards golden beige highlighter but since I already have a golden highlighter from Burberry, I decided to go with the white one. I love the lace design on it. It is so beautiful that I almost don’t want to touch it ;-). Design is probably the most beautiful thing about his palette though. Highlighter itself is nice but there are tiny flecks of micro glitter which I’m not a big fan of but It’s workable. I love using it on the inner corners of eyes. It works great as an eye shadow base too. A potent retinol serum that delivers skin-renewing benefits via optimally concentrated encapsulated retinol for maximum results with minimal irritation. This has been a god sent for me. Just to give you a little bit of background on the situation of skin, I’m 32 and have been suffering with extreme dryness on my face. Although I’ve always had normal skin but suddenly my skin changed (age?). My skin has been dry and painfully itchy. I’ve been using three moisturizers everyday one after another to keep it calm. Needless to say, my skin’s texture has been horrible UNTILL I started using Peter Thomas Roth Retinol Fusion PM. To be honest, I was very skeptical of using this product because Retinol use can make your skin very dry and even peel. I was already suffering with extreme dryness so wasn’t sure if it would make the things worse or not. I took the chance and I’m so glad I did. I decided to start using it once in a week and increase the usage slowly. I used it at night after cleaning my face. I did not use any product on my face, not even a moisturizer. Next morning, my skin peeled like crazy. I used a gentle face scrubber and removed all the dead skin off of my face. The result? OMG, I was amazed with the way my skin looked. LOVED IT. Next week, I used it twice a week and increased the usage by every week. My skin started improving with every usage and peeling eventually stopped. I’m so happy with the results. My skin has not looked this good in last 4 years. My pores are visibly smaller, texture has improved tremendously, skin is smooth, glowy and feels so soft. This one has 1.5% retinol and I know most retinol make skin dry but, for some reason this one makes my skin look and feel moist and glowy next morning . I no longer need to use 3 moisturizers to give life to my skin and it’s no dry and itchy anymore. I highly recommend this product if you are 30+.